Brands require consistent colour and graphic reproduction world-wide. To minimise errors and maximise speed to press, Reproflex 3 provides integrated contract proofing services from all of our operational facilities. Our studio teams are vastly experienced in matching colour references, such as Spot colours and CMYK, and providing inkjet proofs to enable flexographic printers to accurately predict press conditions and have ultimate confidence in reproducing printed graphics to a premium standard. Verify colour references and predict press conditions well in advance of any costly production. Our colour experts can provide guidance and advice on how to achieve the best possible graphic reproduction. 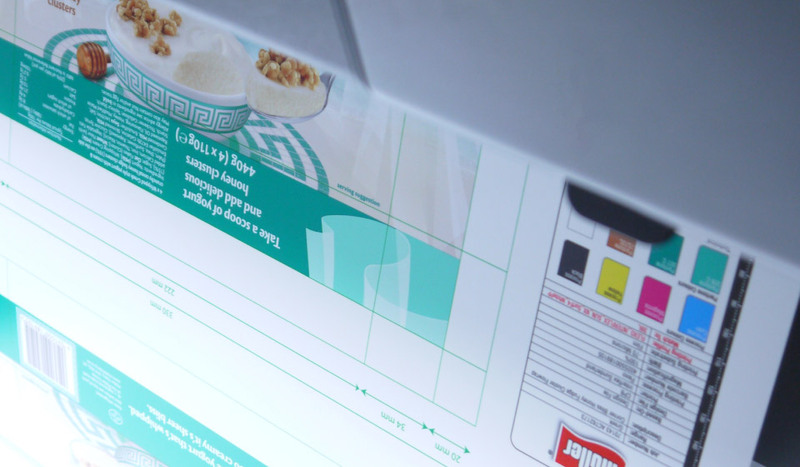 Our contract proofing output is fast and incredibly accurate, taking time out of the pre-press process and allowing the focus to be on printing.